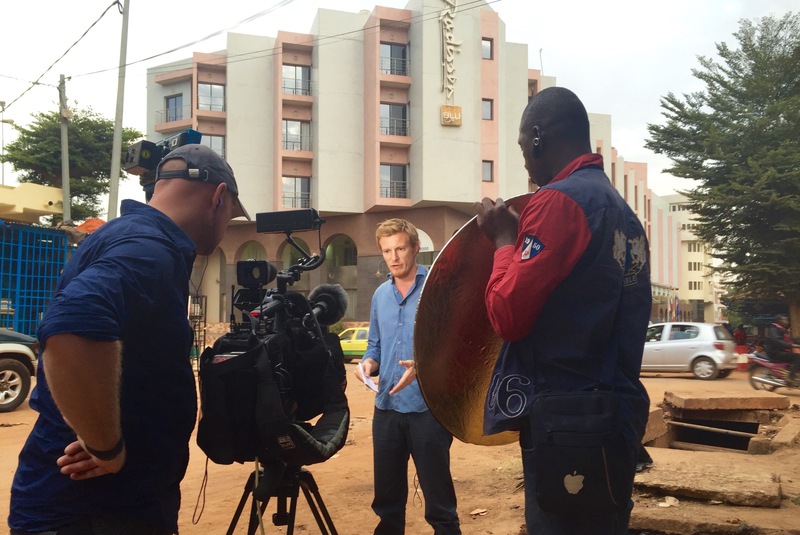 This Report I shot and edited in Bamako, Mali last November after gunmen attacked western tourists and local workers in the city’s Radisson Blu Hotel… I was called the morning after the attack and I was flown out that very night by the BBC to meet up with the team to cover the story. Our West Africa Correspondent Thomas Fessy had flown out from Dakar and was already in the city by the time I arrived. The attack was over quickly as the Mali Army (assisted by French and US special forces) cleared the hotel killing the Gunmen and releasing remaining guests. However we set to work straight away gathering footage around the hotel where the attack took place. The following day we interviewed the Chef featured here in our piece as our eye witness… Hearing his story was incredible, his narrow escape as people were being killed around him was so lucky. After the forensics investigators had completed their job gathering evidence, the police cordon was removed and shortly afterwards the Mali and Senegal presidents visited the scene. The gathered press were invited in to cover the visit and we decided to gather pictures to support the account of our interviewee in order to make our piece. I cannot fathom what it must be like to survive such an incident having never been through anything as terrifying myself, but if it were not for people willing to talk openly to the press about their experiences like this man it would be very hard indeed to put a human face to tragic events like these.